The capital of Mexico, Mexico City is jam-packed with amazing things to see and experience. While being a modern metropolis, Mexico City is also full of Aztec history, traces of which can easily be seen today. There are also impressive monuments, fascinating museums and gorgeous parks waiting for you to explore; below, you’ll find my top five things to do here. Enjoy! The heart of both the modern city and the ancient Aztec capital (which was known as Tenochtitlan) is the Zocalo. Officially called the Plaza de la Constitucion, the Zocalo is where most people kick off their explorations of the city – simply because it is so central to life here. This is, in fact, one of the largest city squares on the entire planet, so expect to be impressed by it! It’s known for more than sheer size, though; one of my favourite things about it is that you can see so many different kinds of buildings, including colonial structures and pre-Hispanic ruins. It’s not everywhere you can take in such a cross-section of a place’s history. If it’s ancient history you’re interested in, you really mustn’t miss Templo Mayor. You see, years and years ago the Aztec city of Tenochtitlan was buried and built over, but archaeologists have since rediscovered it, and excavations are still underway. It all started with the uncovering of Templo Mayor, which was one of the Aztecs’ most sacred religious sites and was found under the Mexico City Metropolitan Cathedral (which you’ll have seen at one end of the Zocalo). Visit this archaeological site and you can see sections of religious temples, shrines, serpent carvings and pyramids. Next on my list is going for a walk through the huge Chapultepec Park. Since it spans 1,600 acres, you probably won’t end up exploring the whole thing, but whatever you do see is pretty much guaranteed to impress you. As well as being home to beautiful forests and lakes, it is also where you’ll find some of the city’s top attractions (including the next place on my top five list!). Among the top things to see are Chapultepec Castle, which these days is home to the National History Museum, and the Monumento a los Ninos Heroes, which commemorates young cadets who lost their lives back in 1847 after refusing to surrender to American forces. This museum is one of the most impressive you’re ever likely to visit. Containing one of the world’s vastest collections of archaeological and anthropological artifacts spanning pre-Hispanic Mayan civilisation all the way up to the Spanish conquest, the museum is packed full of treasures. You’ll find it in Chapultepec Park (you can recognize it by its umbrella-style roof), where it houses amazing finds like an 8th-century Mayan tomb. As a quick tip, it’s worth investing in an English audio guide, since not all the exhibit explanations are written in English. Last on my list is visiting the fantastic Bellas Artes Palace. Actually, I’d recommend nipping up to the lookout terrace of the Torre Latinoamericano, which is just across the street, beforehand to get a spectacular bird’s-eye view of the place, as it’s known for its impressive architecture. This large complex regularly stages a range of exhibitions and theatrical performances – but there’s actually much more you can do here. 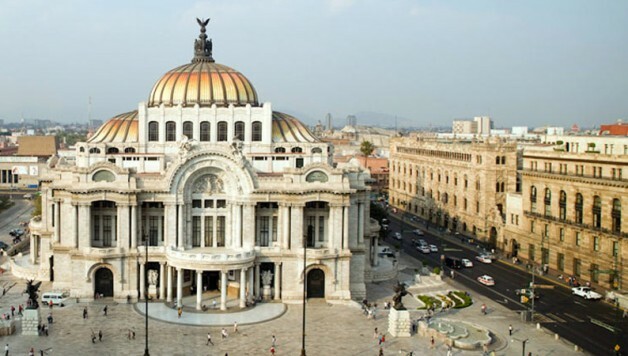 In fact, it is even home to two museums, including the National Architecture Museum and the Bellas Artes Palace Museum. Got any more of ideas of things to see and do in Mexico? Leave a comment and let us know! And, to check out places to stay during your trip, you can visit companies like Hayes Jarvis.